With twenty years experience in the music industry. The Brazilian Brothers Duo will create an atmosphere like no other using their outstanding vocal ability coupled with skilled song arrangements. Playing songs you would and would not expect to hear on acoustic guitar. This duo will have you dancing and singing along to every song. This dynamic duo consisting of Chris Unicomb on guitar and vocals, Geoff Saunders on guitar and vocals are turning heads everywhere with their entertaining and infectious performances. 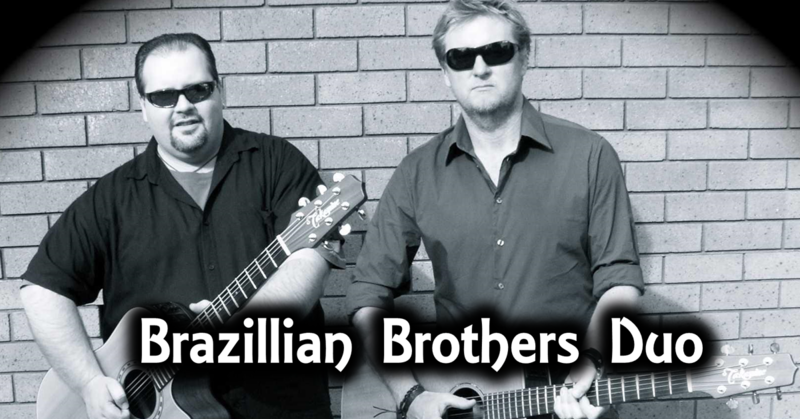 The Brazilian Brothers Duo is ideal for pubs, clubs, weddings and functions. They will deliver a performance that you and your friends will rave about!